To learn more, contact Janis Blainer-Fleming at 520.881.4912. 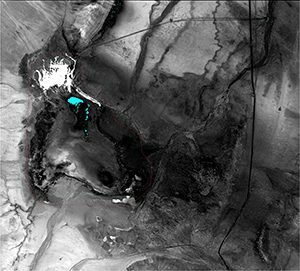 M&A applies the latest techniques in satellite imagery processing and analysis to track surface water conditions, assess the extent and health of vegetation, document land uses, and understand geologic features. 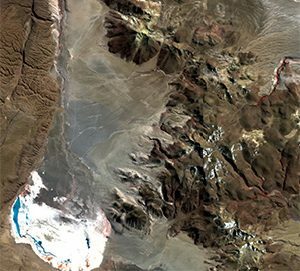 Because satellite images allow us to distinguish — and measure — surface features at the resolution dictated by project needs, the technique is particularly useful in areas where ground access is impractical or where the required coverage area is large. By integrating results of satellite image analyses into a GIS platform, we can represent current and historical environmental conditions, whether they are naturally occurring or human-induced. This information provides a baseline for comparison with future imagery to assess potential impacts of activities in the project area. In urban areas, M&A uses aerial photography to document the presence and types of outdoor vegetation, as well as the occurrence and size of private swimming pools. Generally not available or reliable in public databases, this information is integral to water demand analyses. Images for different periods can be compared to quantify trends in outdoor water use by neighborhood, water provider service area, or other jurisdiction.